In the form of exhibition appearances as well, we call attention to our services and strategies for wealth preservation with gold and silver. 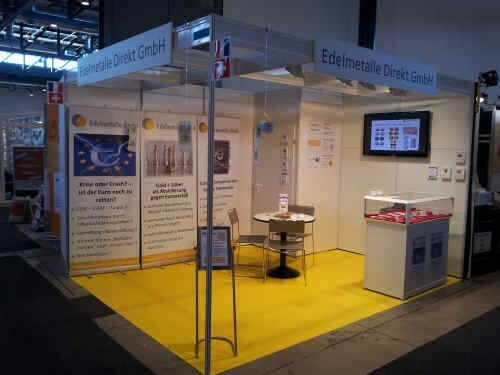 Unfortunately, further information about our attending at Baden-Messe 2013 is only available in German language. Please click here to go to our German site.